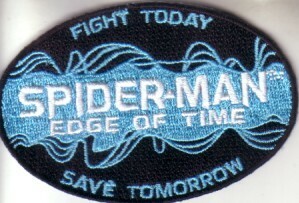 Beautiful embroidered 3 inch long patch distributed by Activision at 2011 Comic-Con in San Diego to promote the upcoming video game Spider-Man Edge of Time. MINT. ONLY ONE AVAILABLE FOR SALE.